Welcome to Mashvisor; a real estate investing platform that provides a number of different tools that could help you make your real estate investment with less effort, at a faster pace, and provide you with tons of value that no other online tool could. Once you sign-up with Mashvisor, depending on your subscription plan, you will gain access to our platform and a number of tools that you can use for your real estate investment. 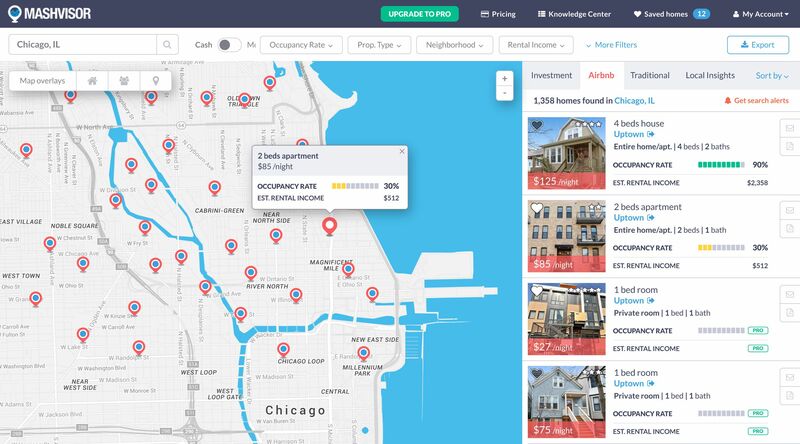 Investment Property Finder: A powerful search tool that is heavily customizable, allowing you to search for investment property based on specific criteria, such as finding properties of a certain type, in a certain neighborhood, or with a certain Cap Rate. Heat Map Function: The heat map function for the property finder tool allows you to find investment properties much faster and using nothing but visual cues to do so. 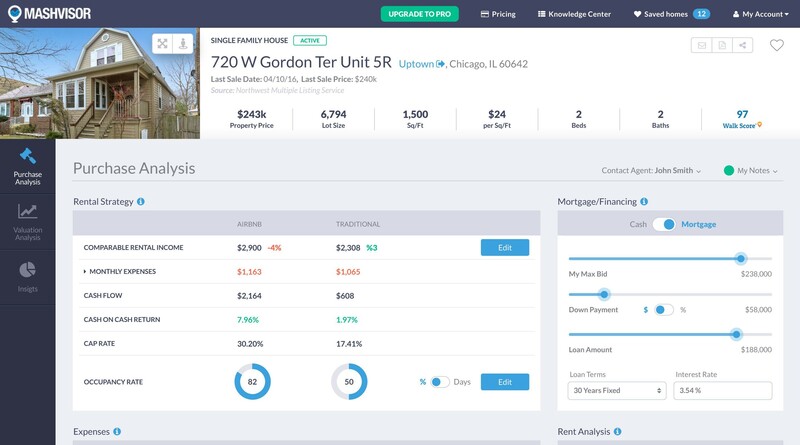 For example, you can set the heat map to indicate the areas with the highest Cash on Cash Return, and you will immediately be able to tell which areas have the highest potential for high Cash on Cash Return properties. Airbnb and Traditional Comps: Our platform also allows you to compare different properties and even different investment strategies to determine the optimal property and strategy for your investment. This comparison is based on qualitative and quantitative data gathered from different sources. Interactive Property Reports and Analytics: This is one of the most valuable tools that we have on our platform. It allows you to analyze several different values in an investment property based on variables that you can customize and change using the Investment Property Calculator. Once you've obtained a report, you can then easily print it out in an easy-to-read format, or you can even share it with your agent, family, or friends. Investment Property Calculator: This tool allows you to calculate the different values related to an investment property using a versatile and customizable tool. The main values that you will be able to calculate are Cash on Cash Return, Cap Rate, Cash Flow, and Airbnb Occupancy Rate. 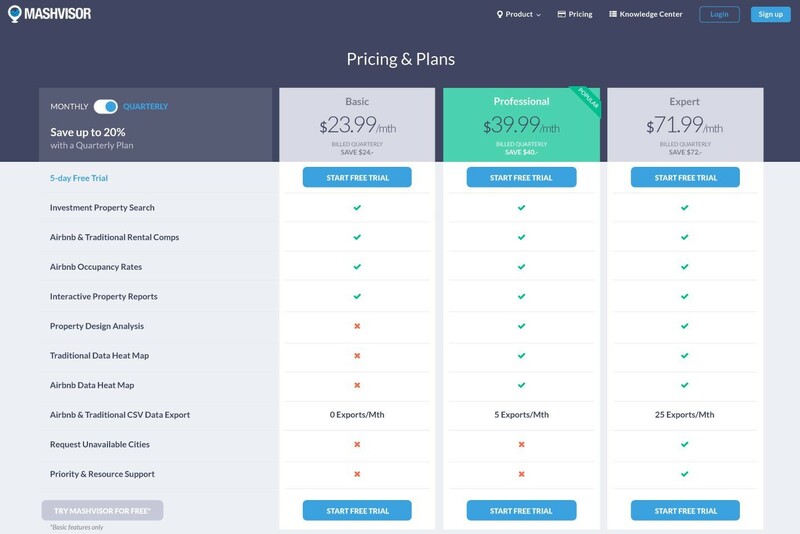 Why don't you schedule a demo and see for yourself?